Bamboo is a tough, eco-friendly renewable resource which is scratch and moisture resistant and will NOT dull knives. We customize these bamboo utility boards with a permanent "burned in" brand creating a natural rustic look. 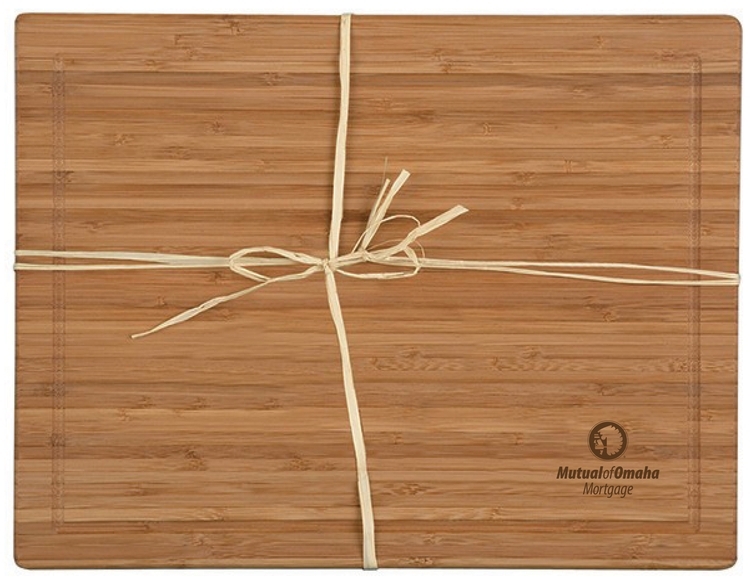 The all-purpose, Bamboo Cutting Board is perfect for entertaining. Generously sized and features a deep juice groove on one side. Both sides can be used for cutting and serving. 15" x 111/2".